3PAR was already massively scalable when you consider the 20,000 series can scale to 8 nodes and 1024 SSDs. Currently the largest SSD available is a sizeable 3.84 TB but this has been dwarfed by the announcement of a 7.68TB and 15.36TB SSD. Assuming a data compaction of 4:1 this now allows a single 3PAR system to scale to 24PB, this equates to 563TB in one rack. To put that into perspective and think of a practical use case, that would allow a single 3PAR to store two billion four hundred million Justin Bieber albums. It’s going to take a while for people to get their heads round the fact that SSD’s are now bigger than the available HDDs and this may turn design decisions on their head. I will look forward to seeing how these disks will be used which may be constrained primarily by their price point. These new large SSDs are expected in the second half of the year. The focus of the file persona announcements was security and scalability. Starting with scalability the maximum size of a File Provisioning Group which is the basic building block of file persona doubles from 32TB to 64TB. New security features include file lock which is a new enterprise data governance feature which allows the preservation of a volume for period of time. NTFS dedicated security mode is aimed at improving NTFS permissions and offers a “near windows experience”. Security mode also allows the cross sharing of files between Windows and Linux users. A native driver for 3PAR and StoreVirtual with Docker will be available within weeks on GitHub. This will allow containers to be stored on the 3PAR and StoreVirtual platforms as well as allowing access to their data service such as snapshots, QoS, dedupe and replication. Tape which has made more come backs than Evander Holyfiled once more is featuring at the centre of a new announcement. But this time not just an enhancement of the StoreEver tape libraries but in a brand new product announcement, in what may at first sound like the unlikely marriage of flash and tape. The term Flape was first coined a couple of years ago by Wikibon and describes a solution based around Tape and Flash. Flape aims to have the hottest data sit on the fast flash storage and the cold data remain on tape. This approach allows the advantage of each medium to be combined to provide a solution but which is cost effective but also capable of delivering performance. 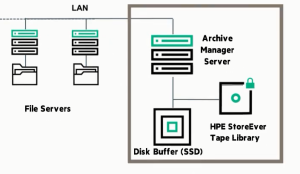 HPE’s new product StoreEver Archive Manager Software is effectively their take on Flape. HPE see the use case as dealing with the massive data growth which they believe is on average 40% per annum. Again according to HPE numbers 80% of that data is rarely or ever accessed after 90 days hence the perceived market for a product like Archive Manager. RMC allows application consistent snapshots from a 3PAR to be transferred directly to a StoreOnce appliance, this mechanism allows backups to be taken more rapidly than traditional backups. 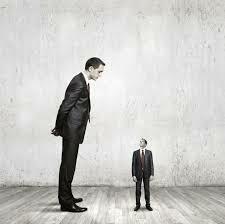 RMC allows the backups to be controlled by the application owner such as the SQL DBA or VMware admin. 3PAR File Persona plus Oracle are added to the list of supported applications in the release of RMC 3. Any details on the 8TB and 16TB SSD drives? The 4TB ones are only useful for very read-intensive applications as the DWPD is extremely low. Here is an article on the 15TB drives which are Samsung http://www.theregister.co.uk/2016/03/03/samsung_2_5_inch_15tb_ssd/. The 7.68TB SSDs are expected to cost aprox $20,000 and the 15.36TB are aprox $40,000.